Brought to you by Netflix, fast.com is a minimalistic, no-advertisement, download-only test of your Internet connection speed. Smartphones apps are available in the Google Play and Apple App stores. 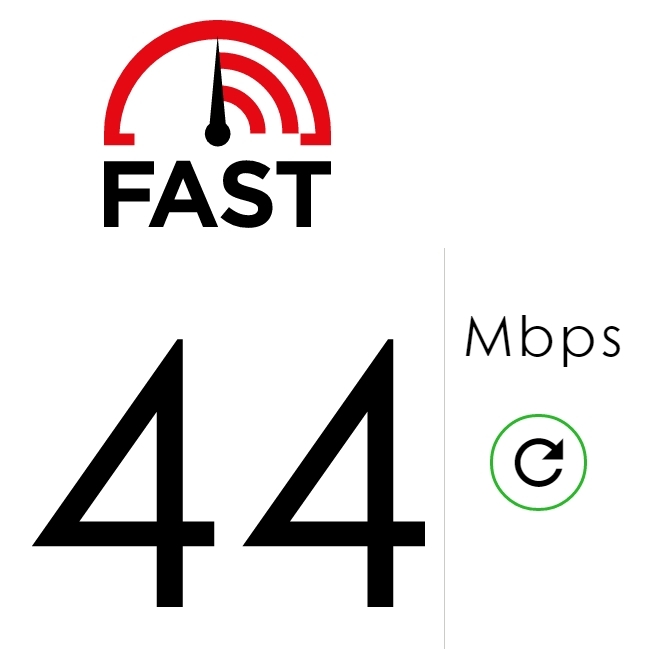 44 Mbps at work and 28 Mbps on my Verizon HTC One M8's cellular connection. My need for speed is real!